Within THG we are able to provide specialist nursing services that are free of charge to Tararua residents. The specialist nurses work collaboratively with the doctors and nurses in our practices and hospital to ensure specialist skills and care can be delivered in our community. Your doctor or nurse will be able to involve these nurses, if appropriate. The nurse working in this specialist area can provide support at our fortnightly community cardiology clinics and will advise and support patients who have been diagnosed and/or are recovering from cardiac conditions. Two specialist nurses within the THG team provide support and guidance to those who are living with both type 1 and type 2 diabetes. They are able to assist and advise patients who have been newly diagnosed or those who are struggling to manage their diabetes on their own. A large part of their role is supporting those patients on insulin to optimise their treatment. A specialist nurse supported by other registered nurses provides an innovative and holistic approach to caring for those older patients who require more intensive input. This comprehensive and integrated approach to care ensures additional support is provided to the more frail and weak in our community. Our registered nurse works with adults who have long term chronic conditions within the Tararua District. The Respiratory Nurse has an important role in patient education, the enhancement of patient self-management and the management of care. 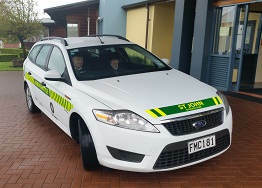 She works alongside other health care providers in the community such as Respiratory Physiotherapists and Specialist Nurses from the Palmerston North Hospital to ensure patients receive excellent health care for their respiratory and long term conditions. The Health Shuttle is a free community service that transports people to essential medical and health-related appointments and then brings them home again. There's no charge for shuttle transport, however a donation is appreciated to cover costs. The Health Shuttle service is often used by older people who live alone and no longer drive. It's also used by people who are too unwell to drive and those who can't physically access other transport options. This service is run by volunteers and is subject to changing schedules. 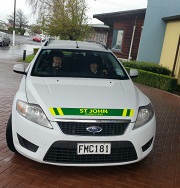 St John Health Shuttle runs Monday to Friday between 7am to 5pm. This can be booked through the main reception at Dannevirke Community Hospital on (06) 374 5691 between 8.30am and 5pm Monday to Friday – by 3pm the day before an appointment. You will be contacted with confirmation of departure time the evening before. 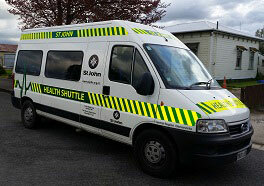 The St John Health Shuttle based in Pahiatua covers the Pahiatua, Woodville and Eketahuna districts. This service is run as an 'on demand' service. 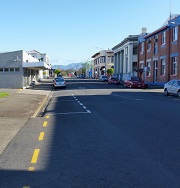 This can be booked through the Pahiatua Information Centre on (06) 376 6619, open Monday to Friday between 10am to 4pm. After hours please contact the co-ordinator Tom Fleming on (06) 376 7638. 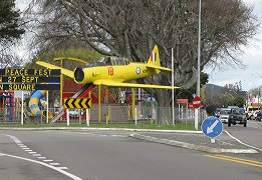 A Local Shuttle Service that provides suitable transport to all members of the community within the Dannevirke area at an affordable rate. Are community owned and operated. Are registered as a charitable Trust. Are governed by a Local Board of Trustees. Own and operate small passenger vehicles in the community. Use local people as volunteer drivers. Charge a small fee to cover the cost of the trip. Insist on payment on pick-up. Provides a reliable transport service at an affordable rate, to all residents. Allows elderly and disadvantaged residents to remain active in the community and achieve a good quality of life, as well as greater interaction with others in the community. Provides a wider range of customers for local businesses with new residents more likely to be attracted to the town. Provides transport for non-medical travel. Safe and well maintained vehicles are available for community use. 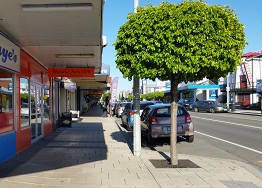 Dannevirke Community Board, Caltex Westlow, Dept Internal Affairs, Gwen Fairbrother, Infinity Foundation, KB Ford, Monty Fairbrother Charitable Trust, Ngati Kahungunu Ki Tamaki Nui A Rua, Property Brokers Ltd. 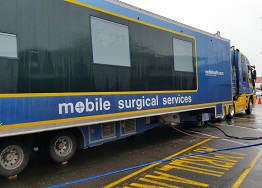 The MSS 'bus' travels the length of New Zealand on a five-week cycle, providing low-risk elective day surgery using local and regional health care professionals. The 'bus' arrives in the night before at the hospital and takes approximately one hour to prepare for surgery. It is hooked up to the hospital for power, water supply, waste water and computer data lines. In case of power failure, the 'bus' has an onboard generator. These services have not been available in our smallest centres since the closure of surgical services in primary hospitals in the 1980s and 1990s. 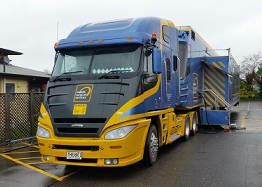 The 'bus' provides a welcome return to day surgery in rural New Zealand and the range of services available can be extended with the support of District Health Boards (DHB), which know communities' needs through DHB wait list information. To have a procedure performed on the 'bus', you will first need to be referred to a specialist by your GP. 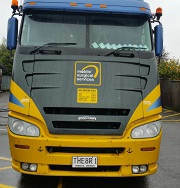 When you see the specialist, discuss with them if the 'bus' is a suitable place for you to have your treatment and, if appropriate, they will put your name on the DHB waiting list. From there, it is a matter of waiting until that specialist is working on the 'bus' and your case is at the top of the list. Often the specialist will be able to give you an expected date when they see you at their clinic. You may not get faster access to surgery than if you have it performed at the base hospital, but you will get guaranteed 'set date' surgery. You will also receive healthcare close to home. Once selected for day surgery pre-admission for patients usually takes place up to five weeks before the scheduled surgery, either when the 'bus' is in your locality on the previous cycle or through the base hospital.